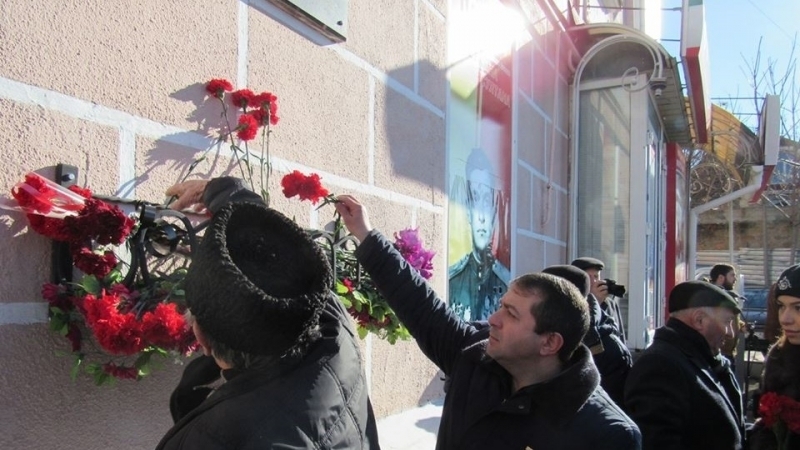 Today, on February 1, residents of the occupied Simferopol honored the memory of twice Hero of the Soviet Union, an outstanding Crimean Tatar test pilot Amet-Khan Sultan. The event was held on the square named after the legendary pilot. Reference: Amet-Khan Sultan was born on October 20, 1920 in Alupka. His father was from Dagestan, his mother was a Crimean Tatar. Amet-Khan is considered to be a national hero both in Dagestan and among the Crimean Tatars. He died on February 1, 1971 while performing a test flight at the Tu-16 flying laboratory. He was buried at the Novodevichy Cemetery in Moscow. In May 2015, the Verkhovna Rada of Ukraine adopted a resolution on naming International Airport of Simferopol after Amet-Khan Sultan. The international airport in the capital of Dagestan, Makhachkala, is also named in his honor. The QHA reported that museum in his name in Alupka told a story of the people's present of the Crimean Tatars to Amet-Khan Sultan.